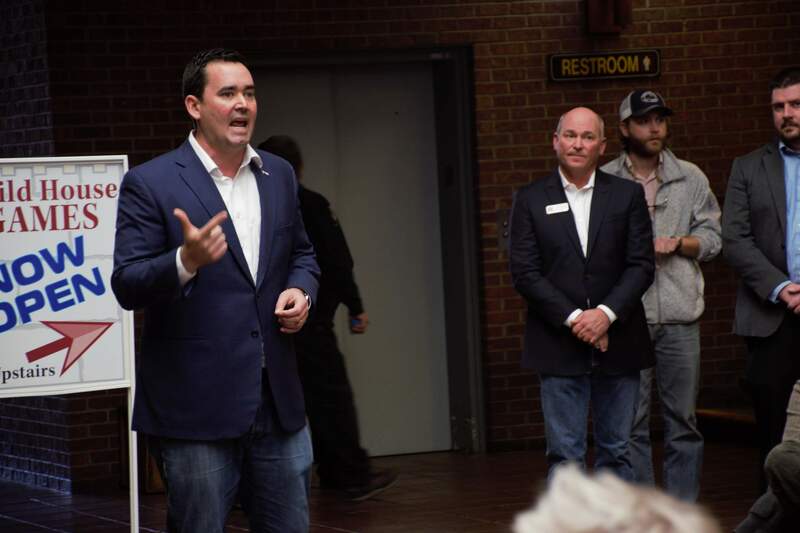 Republican gubernatorial candidate Walker Stapleton speaks Thursday at the Durango Main Mall. Republican candidate for Colorado governor Walker Stapleton promised a brighter future for young people at a rally held Thursday in the Durango Main Mall, 835 Main Ave.
More than 60 people cheered and clapped as Stapleton covered his key issues and identified reasons why residents shouldn’t vote for his opponent, Jared Polis. “Polis is an extreme departure from where we are,” Stapleton said. Stapleton’s speech was preceded by one from his running mate, Lang Sias, who said he was proud and happy to have accepted the candidacy for lieutenant governor. Sias also attacked Polis, calling him “Bernie Polis,” a reference to unaffiliated U.S. Sen. Bernie Sanders who ran for president in 2016, for the policies he has proposed. Those policies include moving Colorado to a single-payer health care system, a pillar of Sander’s presidential campaign, and a proposal for 100 percent renewable energy in Colorado by 2040. 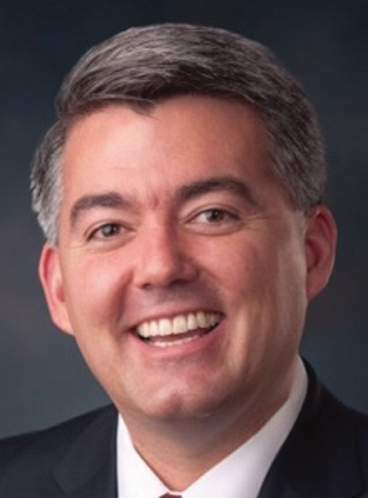 U.S. Sen. Cory Gardner, R-Colo., also spoke on Stapleton’s behalf, although his speech was interrupted by an audience member yelling “shame, shame, shame” for about 45 seconds. The man was eventually escorted out of the building by police. Gardner acknowledged the protester, defending his right to free speech. He also encouraged voters to elect Stapleton because he would make sure “we have jobs and opportunities for everyone,” Gardner said. Brad Pratchett of Durango said he attended the rally because it gave him a chance to see and hear from a candidate who he doesn’t hear from or see often. “I like to know who we’re trying to vote for,” Pratchett said. Jackie Caudill of Durango said she attended to show her support for Stapleton. “We’re the unseen here in Durango,” Caudill said of herself and the rest of the crowd.